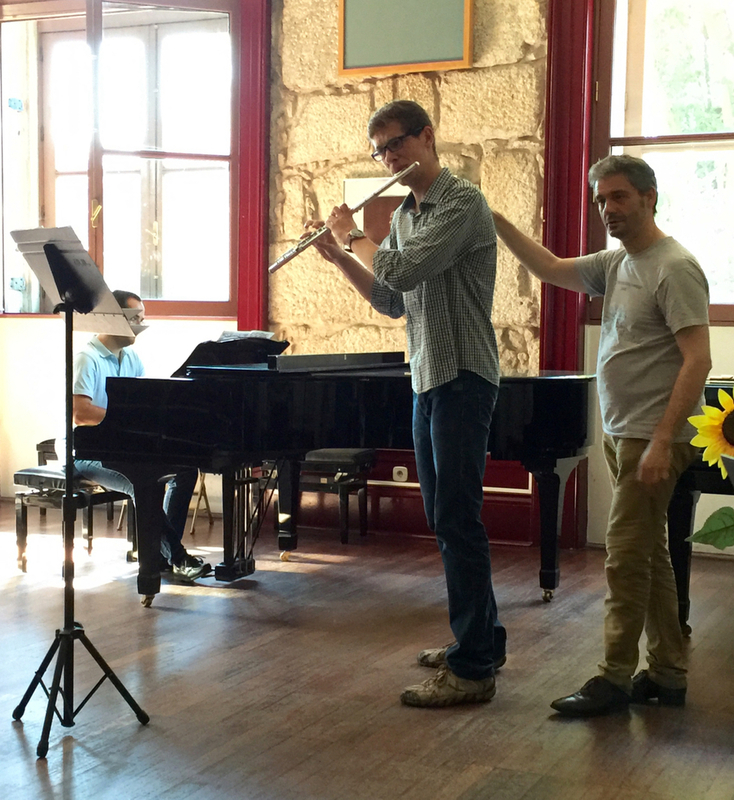 Aldo Baerten at the Summer Flute Academy - photos! I'd like to again thank Aldo Baerten, Principal Flute of the Royal Flemish Philharmonic in Antwerp, Belgium, for his wonderful recital and masterclasses at the Summer Flute Academy this year. His performance and work with the students reflected the artistic influences of his teacher, the legendary Peter-Lukas Graf, a special stylistic flexibility that perhaps comes from performing under chief conductors Edo de Wart and Philippe Herreweghe, as well as that special "something" that reaches and touches the audience, in this, the most ephemeral of the arts. Aldo is a Powell Flutes Artist, and his presence was made possible by Powell Flutes in Boston, USA. Photos below: Aldo Baerten in action teaching, a group foto with Aldo, and with me before the session on Powell's history and flutes—a few minutes later, the room was full of flutists trying out the gear, of course!